If you require dental crowns, then Aim Dental Group is the perfect place to visit for professionally fitted crowns which blend in beautifully with the rest of your teeth. Our team of expert dentists are skilled in creating smiles our patients want to show off, so if dental crowns are needed, we’ll make sure you receive the very best. A dental crown fits over an existing tooth which has become weakened by decay or damage and is available in gold or porcelain. Once fitted, they strengthen your tooth and, if you choose porcelain, the crown will be colour-matched with the rest of your teeth so it will go unnoticed. Dental crowns have proven to be one of the most long lasting types of dental treatment, and with new technology have also evolved into a popular cosmetic option for our patients. With Aim Dental Group’s services, we can make crowns to improve a patient’s smiles in just one visit. Aside from cosmetic purposes, crowns are generally fitted when the tooth in question is damaged too much to benefit from a normal filling. Whether your teeth are badly decayed, have suffered trauma, or have previously been heavily filled, there are various reasons why a crown might be the best choice for you. 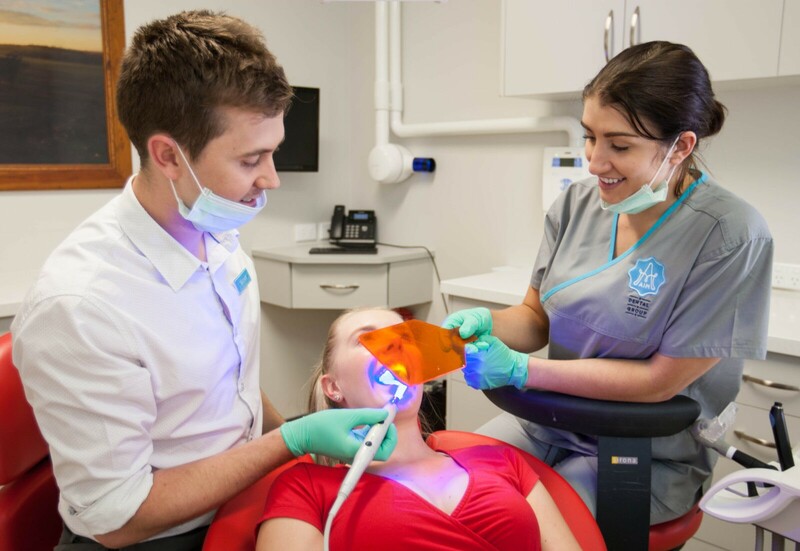 If you require or request a dental crown from Aim Dental Group, you can expect the best quality crowns, fitted by a team of experienced dentists. With this quality comes durability, toughness, and ultimately, enhanced performance of the crown. You may also suffer from micro-cracking, where old amalgam fillings begin to crack around a filled tooth, or you may have undergone root canal therapy. Crowns can last for many years if fitted properly using quality materials. At Aim Dental Group, that’s exactly what you’ll get. Full metal – These are placed on teeth that aren’t visible and require a stronger crown. We usually choose either cast-gold alloy or milled titanium for these. Porcelain bonded to metal – The most commonly used crown, these are great for use on back teeth. Non-metal – Aim Dental Group is one of the very few dental practices with the ability to make these crowns on-site and insert them on the same day. These crowns have a much better appearance than conventional crowns. All ceramic crowns are biocompatible, so the body accepts them more easily. When fitting a crown, our dentist will reduce the size of the existing tooth just enough to place the crown on top, which can either be on the same day, or two weeks afterwards. The timescale depends on the type of crown chosen. Once you have your crown in place, our team will make sure you have all the information you need to maintain it properly. If you are interested in dental crowns, contact your closest Aim Dental Group for a more natural looking smile. SAVE TIME AND BOOK ONLINE - IT’S EASY!